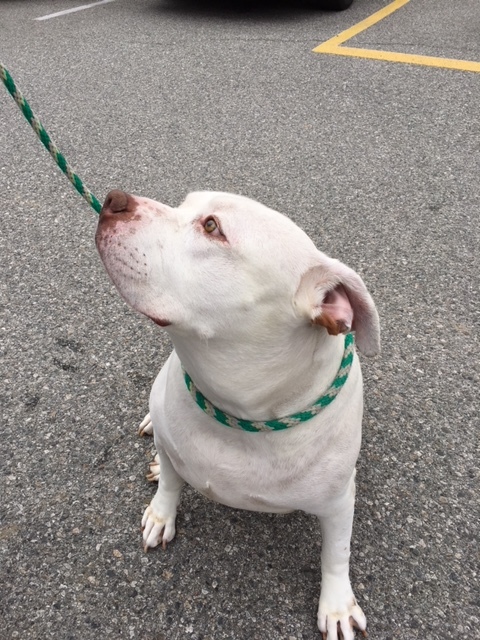 Droopy’s been likened to the Stay-Puft Marshmallow Man—he is a big marshmallow!–and described as “a lumpy sort of fellow with a big heart” by the shelter staff. But once he’s out in the play yard, Droopy isn’t droopy! He loves to play with the other dogs in the play yard, is well trained and gentle, and loves walks. He’s a 5-year-old pit bull and, sadly, an owner surrender—he lived with young kids in his previous household, so he’s used to a lot of love and so deserves it. Meet our Droopy on the shelter side of the P. D. Pitchford Companion Animal Village, 7700 East Spring St., (562) 570-PETS. Ask for ID#A504961.